“If you are confused and you want somebody’s help to try to figure out what’s right for you — what’s junk and what is legitimate — there will be fewer people to help you in most states,” says one professor who studies health policy. WASHINGTON — When the annual open-enrollment period begins in a few days, consumers across the country will have more choices under the Affordable Care Act, but fewer sources of unbiased advice and assistance to guide them through the labyrinth of health insurance. The Trump administration has opened the door to aggressive marketing of short-term insurance plans, which are not required to cover pre-existing medical conditions. Insurers are entering or returning to the Affordable Care Act marketplace, expanding their service areas and offering new products. But the budget for the insurance counselors known as navigators has been cut more than 80 percent, and in nearly one-third of the 2,400 counties served by HealthCare.gov, no navigators have been funded by the federal government. “Obamacare health plans,” short-term plans and “Christian health-sharing plans” are all displayed on the same page of some shopping sites like Affordable-Health-Insurance-Plans.org, which describes itself as a free referral service for insurance shoppers. Consumers may have difficulty sorting through their options after the administration sliced the budget last summer for insurance navigators to $10 million this year, from $36 million in 2017 and nearly $63 million in 2016. “Navigators play a vital role in helping consumers prepare applications to establish eligibility and enroll in coverage through the marketplaces,” the Department of Health and Human Services says on its website. But 797 counties served by HealthCare.gov will not have any navigators this year, according to a tabulation of federal data by the Kaiser Family Foundation. That is a sharp increase from 2016, when 127 counties lacked such assistance. “If you are confused and you want somebody’s help to try to figure out what’s right for you — what’s junk and what is legitimate — there will be fewer people to help you in most states,” Corlette said. Federal officials said they were not providing funds for navigators in Iowa, Montana or New Hampshire because no organizations had applied for the money in those states. Cleveland, Dallas and large areas of Michigan and other states will also be without navigators. Texas will be hit hard. The state has the largest number and the highest percentage of people who are uninsured, with 4.8 million people, or 17 percent of residents, lacking coverage, according to the Census Bureau. 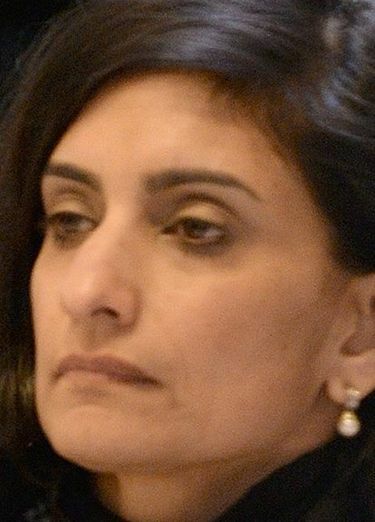 Seema Verma, administrator of the Centers for Medicare and Medicaid Services, defended the cuts. After five years, she said, “the public is more aware of the options for private coverage” available through the marketplace, so “it is appropriate to scale down the navigator program.” In addition, she said, information and assistance are available from other sources, including insurance agents and brokers. Consumers can sign up for health insurance under the Affordable Care Act starting Thursday. Last year, 8.7 million people enrolled at HealthCare.gov, and 3 million more selected plans on insurance exchanges run by states. Consumers can go without insurance next year without fear of a penalty, as Congress repealed the unpopular tax surcharge imposed on people who lack coverage. Many health-policy experts say that federal financial assistance is more important than the individual mandate in inducing people to buy insurance. Those subsidies will still be available to low- and moderate-income people for insurance that complies with the Affordable Care Act and is purchased through the public marketplace. The subsidies cannot be used for short-term policies. Average premiums for the most popular types of insurance purchased by individuals and families will be relatively stable next year and, in some states, will actually decline, the administration says. Under new standards issued by the administration, navigators this year are encouraged to inform consumers of the full range of coverage options, including short-term plans that do not provide all of the benefits and consumer protections required by the Affordable Care Act. President Donald Trump has promoted the short-term policies as an inexpensive alternative to the Affordable Care Act, and he said those plans would be “much more widely available” as a result of an executive order he signed last year to overturn restrictions imposed by President Barack Obama. Democrats have made health care a major theme in midterm election campaigns, and they say the short-term policies show how the Trump administration threatens protections for people with pre-existing conditions. Short-term policies, which can extend up to 364 days and then be renewed for two additional years, often provide no coverage for pre-existing conditions, prescription drugs, pregnancy, maternity care or the treatment of mental disorders and drug abuse. In another challenge this year, consumers may be deluged with robocalls offering cheap insurance. Alex Quilici, chief executive of YouMail, a company that offers software to combat robocalls, said he was seeing a huge increase in health-insurance scams. It is difficult to identify the source of the robocalls, Quilici said, because callers often falsify information displayed on caller ID.